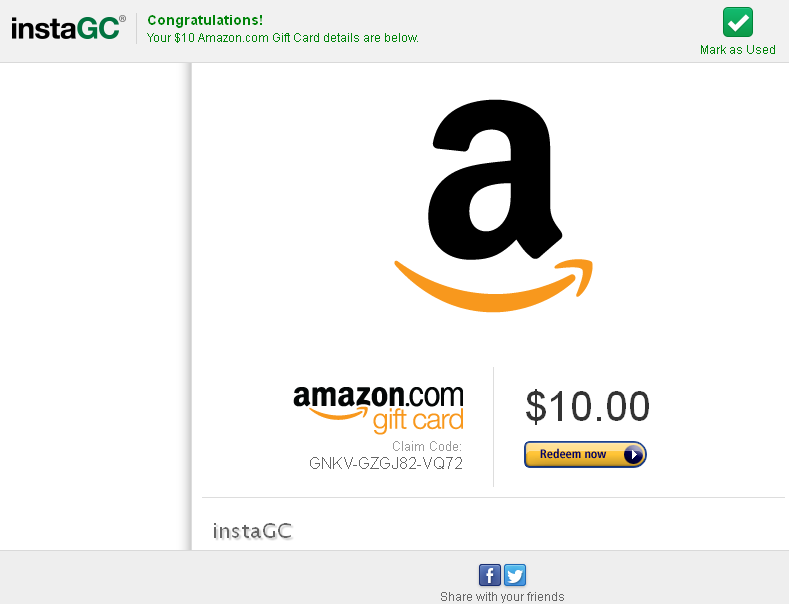 Instagc.com is a gpt (get paid to) site owned by Day Online Solutions. There are several different types of gift cards there and you can earn them for free with the right amount of points. Points are very easy to earn there. Here's a tip: Have your radio loyalty opened up. You'll need to enter a code for every 10 minutes and you earn 1 point each time. While you're listening to some music, open a new tab and do other offers. Note* Points do not get earned by themselves. I'm not sure why people bother to sign up for these programs and then do nothing. If you can't figure out how to earn, just leave me a comment here and I'll help the best I can.